If you have a 6.5 Grendel rifle and recently purchased ammunition from Prvi Partizan (PPU), do NOT LOAD or shoot this ammunition. PPU, the manufacturer, is recalling ALL of its 6.5 Grendel ammunition. 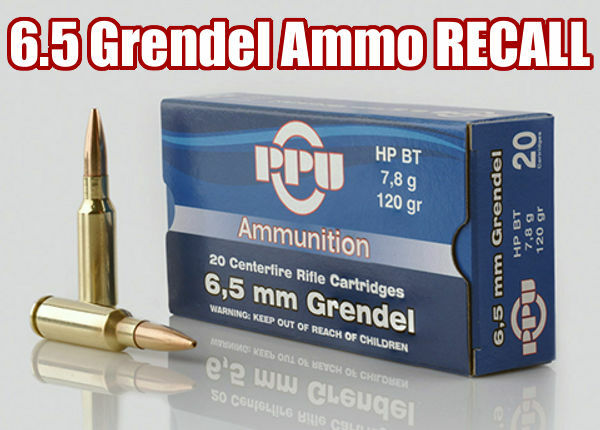 This recall applies to ALL PPU-made 6.5 Grendel ammunition. If you have any 6.5 Grendel ammunition or brass manufactured by PPU, please email info@ppu-usa.com or call (203) 375-8544 to arrange for its return and replacement. Share the post "PRVI Partizan 6.5 Grendel Ammunition RECALL"